Hi Arika, we purchased Chevy from you in April. 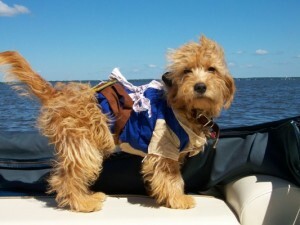 He is from Ruger and Goldie’s breed of very petite minis. We are truly in love with Chevy, he has been such a blessing to us. I am including a picture for you. I was wondering if you plan to breed these two dogs again as we may consider getting a companion for Chevy but I would want it to be on the smaller side like he is. Please let me know if and when you might be breeding them again.